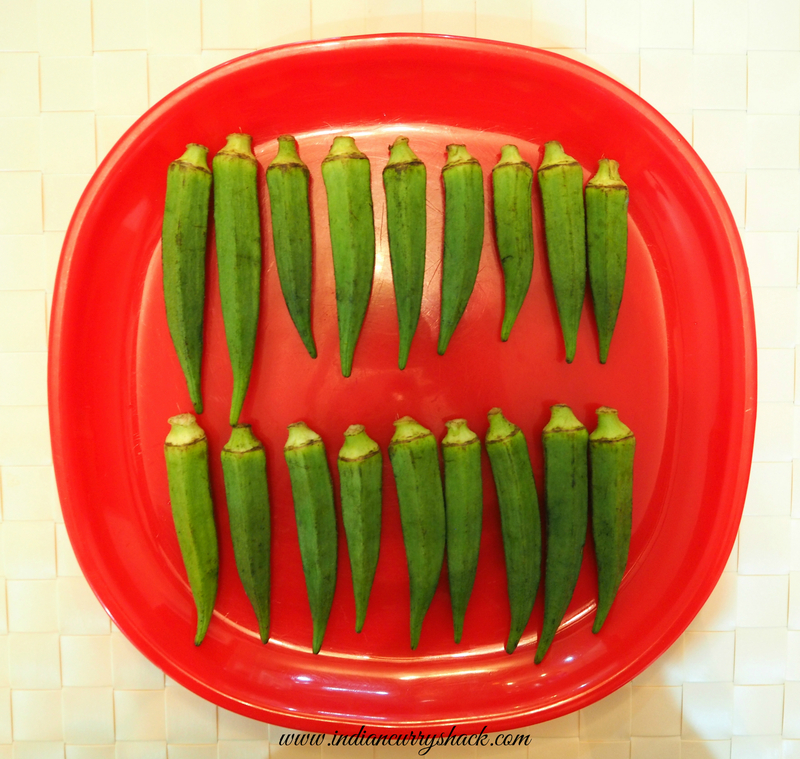 Bharwan Bhindi (Stuffed Okra) brings a bag full of childhood memories. Especially the summer vacations. This was a must dish in our food boxes along with Poori (Puffed Indian Wheat Bread) whenever we used to go on a long journey. It stays fresh for over a day at room temperature. 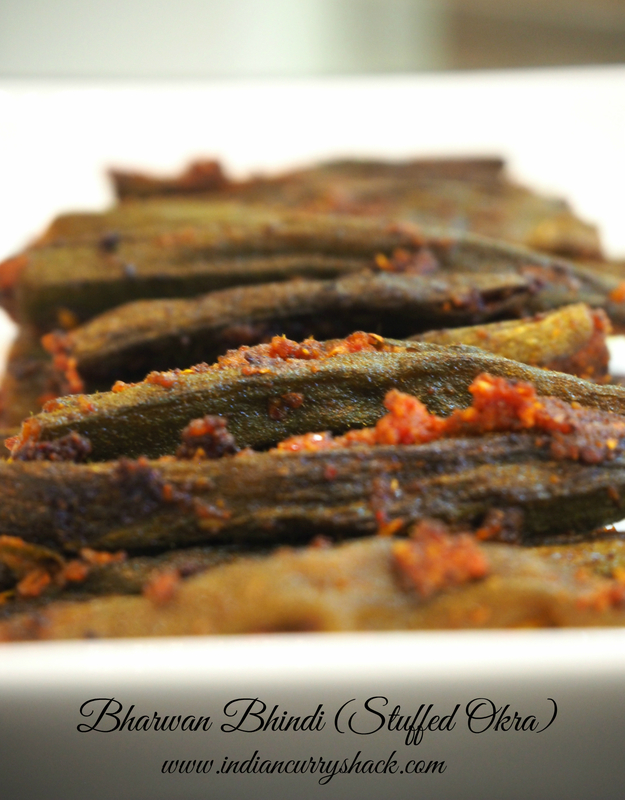 Bharwan Bhindi is a traditional North Indian dish and is made with some or the other twist in different households. The recipe I am sharing today is my Mom’s and the one which has been savoured by each family member for years. Wash and wipe lady fingers/okra completely dry. Remove half a centimeter from both ends. Slit and keep aside. In a small bowl, mix coriander powder, cumin powder, red chilli powder, dry mango powder, turmeric powder and salt. 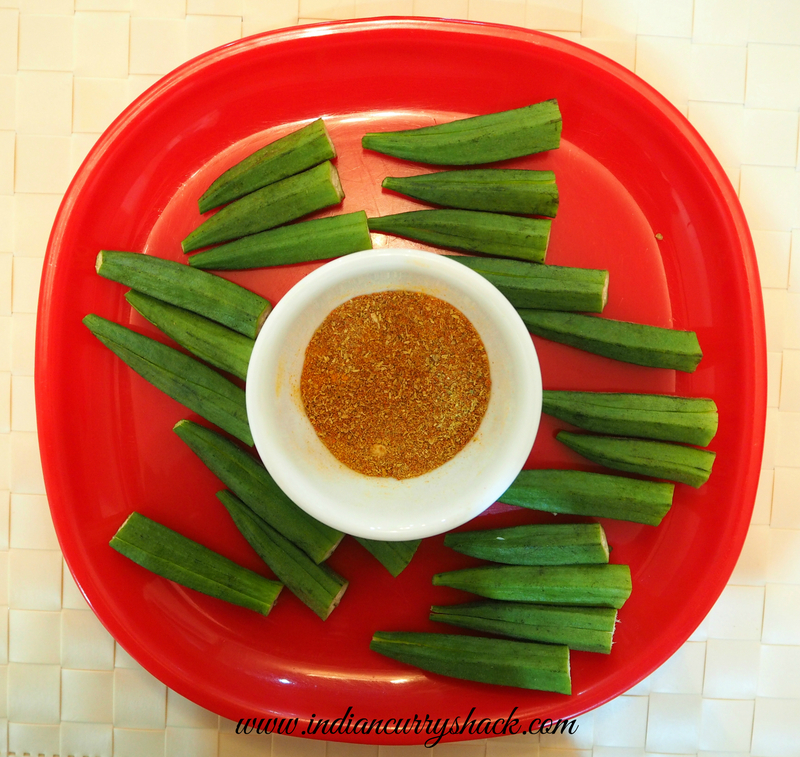 Stuff the lady fingers/okra with this mix (masala). Keep the leftover mix (masala) aside. Heat oil in a pan (kadhai). Add stuffed ladyfingers/okra. Cook covered on low heat. Stir at intervals. Add rest of the dry masala when lady finger/okra is almost cooked. Cook covered on low heat till lady fingers/okra are fully cooked and tender. 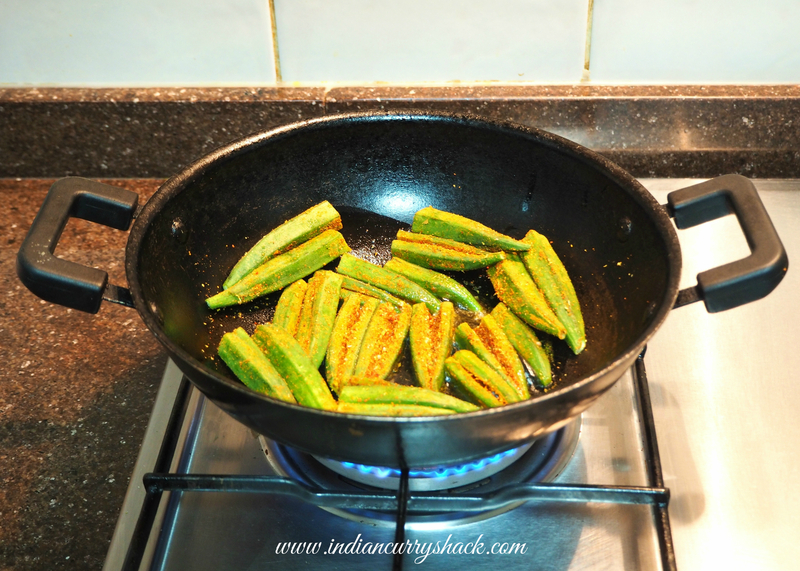 Serve hot with Lachcha Parathas or Plain Parathas or Pooris (Indian Breads) and relish this special okra dish. 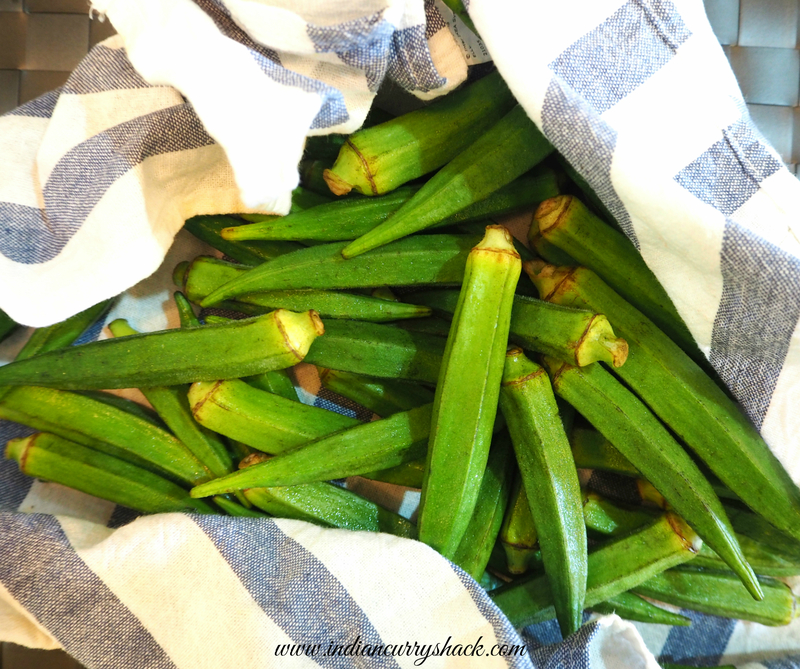 I love okra – and this looks delicious!